Finding aid only for Manuscripts Small Collection 2943. Letters of the Brown family of Cynthiana and Elizabethtown, Kentucky. Includes letters of Judge Henry O. Brown to his wife Lucy Ann while on circuit, a petition of Princeton, Kentucky citizens urging Judge Brown to relocate in order to serve their district, and a copy of a letter from Sally Doom, probably to her brother (and Judge Brown’s son-in- law) Charles Nourse, eloquently deploring Southern secession and slavery. Also includes a photograph of three unidentified women and an infant. 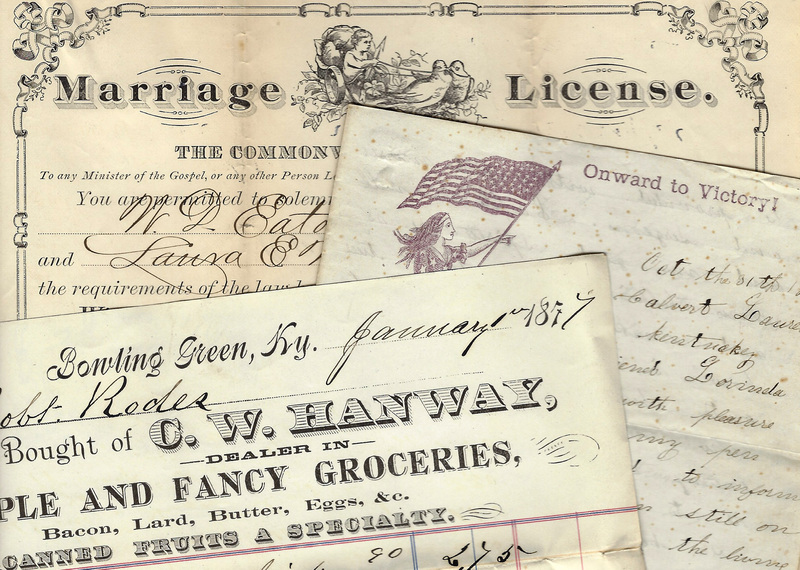 Folklife Archives, Manuscripts &, "Brown Familly Letters (SC 2943)" (2015). MSS Finding Aids. Paper 4058.